Inspired by an Athlete, for Every Athlete. Nike is perfectly balanced, dry, refreshing and lively on the palate. It’s a Rose of Pinot (style). Inspired by the Goddess of victory, Nike’s Vineyard is a Super-Premium Greek wine with the structure of a Pinot Noir. It is delicious and delicate, and it’s made entirely from sustainably grown premium Greek grapes. It is perfectly balanced, dry, refreshing and lively on the palate. Viniculture originated in Greece 6,500-years ago and the Ancient Greek athletes consumed wine during training and for recovery. The premium grapes used in MARATHON wines originate from these same rich and fertile soils. This isn’t just great wine, it’s healthier wine. Modern athletes will appreciate the exceptional quality, vibrant taste and smooth clean finish. 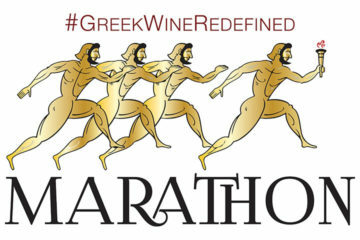 MARATHON wines are handcrafted without additives and with low sulfites. Our delightfully flavorful wines contain more of what makes you feel good and less of what makes you feel bad. What’s not to love about that! Whether you’ve run a marathon or endured a marathon day, Nike’s Vineyard is sure to relax the body and invigorate the soul. Savor the journey. Athena is bright and refreshing, almost effervescent on the tongue. It’s a Sauvignon Blanc (style). Inspired by the Goddess of wisdom, Athena’s Vineyard is a Super-Premium Greek wine with the structure of a dry Sauvignon Blanc. It is crisp and refreshing, a perfect complement to your active lifestyle. Whether you’ve run a marathon or endured a marathon day, Athena’s Vineyard is sure to relax the body and invigorate the soul. Savor the journey. These wines are the direct result of a new partnership between NU-Greek Wine Company and Greek-American ultramarathoner, Dean Karnazes. The premium fruit comes from Greece and the wines are handcrafted by Robert Rex, who recently received the award for 2018 Winemaker of the Year from the AFWC. 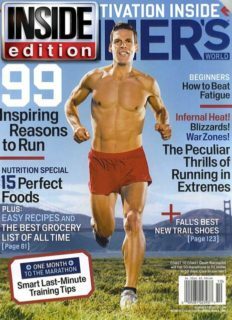 For Karnazes, who once ran 50 marathons, in 50 states, in 50 consecutive days, wine is beneficial for rest and recovery. Karnazes is also a bestselling author and one of Time Magazine’s “100 Most Influential People in the World”. Marathon Wine © 2018 All Rights Reserved.